Google has always been more than the search bar on a white background. Its many ventures over the years have been in areas as varied as enterprise and business software companies, consumer brands, and robotics, with advertising being its mainstay. Now, Google is pursuing the disruption of the healthcare industry through its undoubted AI prowess. In Q1 2018, two life sciences companies backed by Alphabet, the Google parent company, went public in the San Francisco Bay Area. This follows a fairly long tradition of the organization’s backing of healthcare-related firms. GV, the company’s venture capital arm, has backed around 60 such companies since it was founded in 2009. In 2017, five of their bets went public, with Google’s stake being 10 percent or more in four of them. According to data from FactSet, the company’s total ownership in those four firms (Arcus Bioscience, ARMO Biosciences, Spero Therapeutics, and Arsanis) has a combined market value of approximately $153 million. The five firms are working on a number of techniques, such as producing cancer and antibody immunotherapies, to combat a variety of diseases. Google is prioritizing its expertise on AI garnered over years of managing and digitizing information. 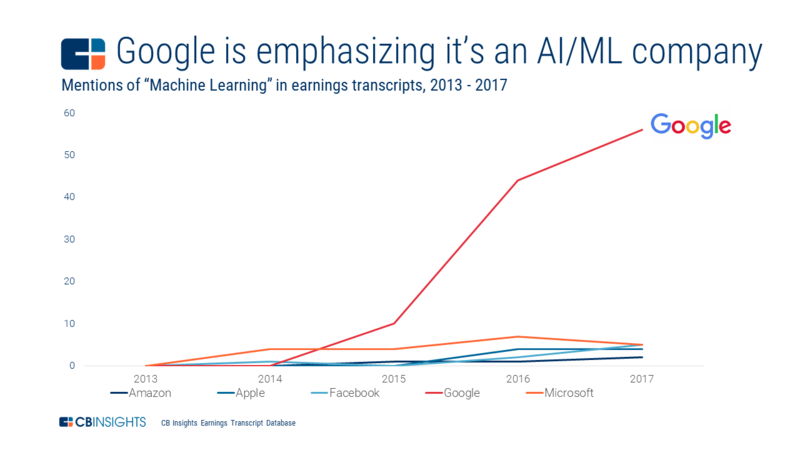 According to a CB Insights report, Google emphasizes machine learning more than any of the other four big tech giants such as Amazon, Facebook, Apple, and Microsoft. 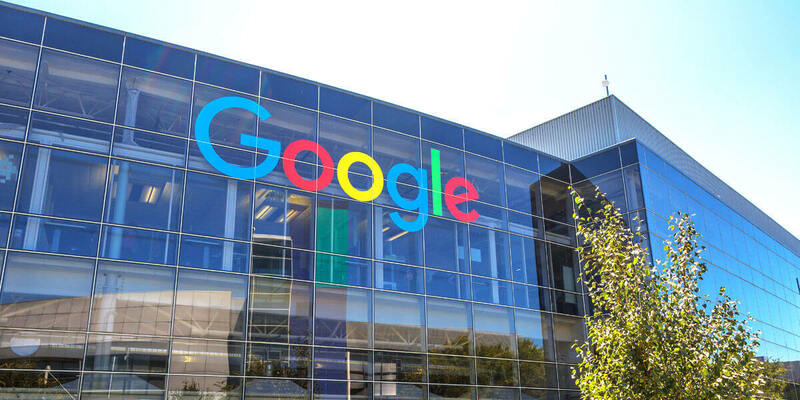 Google is also focusing on the Fast Healthcare Interoperability Resources (FHIR) application program interface (API) to affect modern, seamless facilities into legacy healthcare systems. To this end, it acquired Apigee in 2016, an API management company in Silicon Valley that develops FHIR-based APIs to facilitate this purpose. Google has three main subdivisions that spearhead its healthcare initiatives – DeepMind, Calico and Verily. Google acquired the British AI company DeepMind for $500 million in 2014. The company’s technology is being used a variety of diagnostic procedures. For example, the company is working with eye hospitals for detecting early signs of blindness using data from 3D retinal scans. DeepMind has collaborated with National Health Service organizations such as the University College London Hospital, and the U.S. Department of Veterans Affairs to develop apps for electronic patient records, and predicting the onset of kidney injuries. Its Streams app, which uses a range of test result data to alert clinicians to acute kidney injury (AKI) in patients, helps hospitals assign the right specialists to the right patients. Calico was created in 2013 with the intention to research and fight aging and any afflictions associated with it. The company has been partnering with biotech companies to research and develop cures against aging-related illnesses. It utilizes AI to synthesize large datasets and automate specific laboratory processes. It has also partnered with organizations like the California Institute for Quantitative Biosciences to develop drugs for neurodegenerative disorders and cancer, among other diseases. Verily has been the organization’s primary research organization dedicated towards the study and research of life sciences and healthcare. It focuses on improving existing healthcare models via analytical tools, interventions and more. Many of its initiatives, such as the ambitious Project Baseline, center on its Study Watch, a wearable device that collects biometric data. It has set up a laboratory space to work beside start-ups like Freenome and has partnered with premier firms such as GlaxoSmithKline to develop bio-electronic medicines. 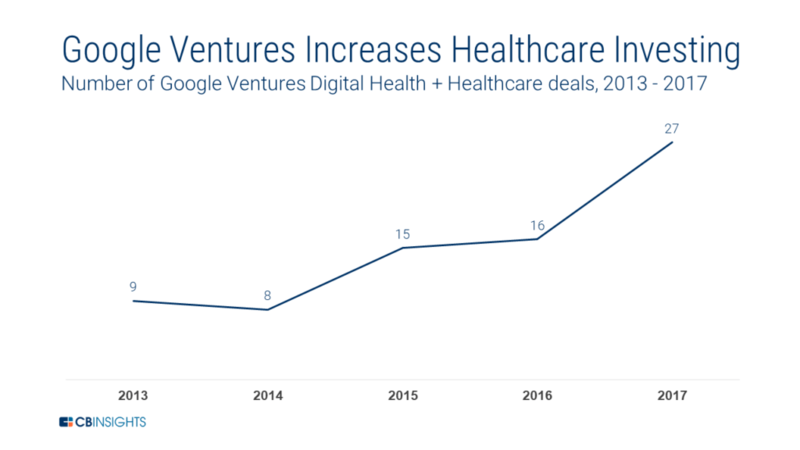 Google has experienced numerous hindrances in its healthcare ventures, from as early as 10 years ago. It came into the healthcare market with Google Health and Google Flu Trends, both of which failed spectacularly due to inaccurate information mapping and data exchange issues. Coupled with the general public mistrust in the company to keep their personal information private, a need that rightly escalates in healthcare, and Google has a job on their hands to regain that faith to move forward in this industry. Google is trying to implement AI across many facets of healthcare, from detecting diabetic retinopathy and cancer to making great strides in genomics. While the possibility of failure is high, so is the potential of success. That success, even if achieved in one of the many issues Google is tackling, can form a new AI-driven healthcare standard.